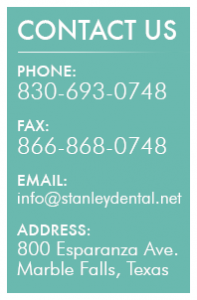 Patient had recently finished Invisalign® treatment. 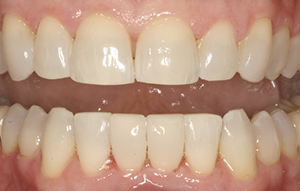 Utilized bleaching, minor tooth re-contouring and custom matched, resin composite bonding of bottom front teeth. 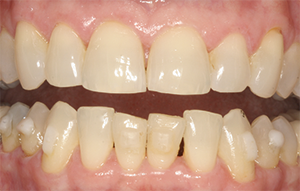 Bleaching and minor tooth re-contouring. 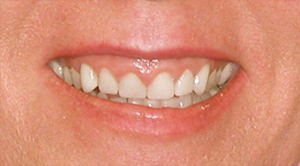 Patient unhappy with previous porcelain veneers. 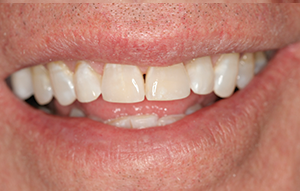 Utilized crown lengthening (gum-lift) to establish proper tooth length and optimal aesthetics, restorations were a combination of porcelain ceramic veneers and crowns. 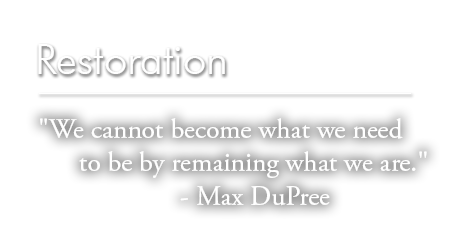 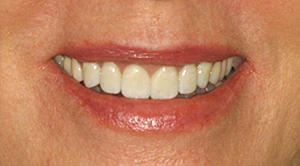 Restoration of worn, discolored and missing teeth using all ceramic crowns and bridges. 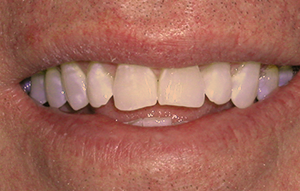 Also corrected improper, uncomfortable bite by building new teeth into an ideal esthetic and functional position, harmonious with a proper jaw joint position.